Hello friends! It’s Leslea from A Heart Filled Home. I’m so excited to be sharing this great roundup of fall table centerpieces from my fellow diy bloggers. I am so happy it’s finally Fall! Cooler weather, changing leaves, pumpkins everywhere, and the upcoming Holidays bring me so much joy. I’m itching to get a head start on decorating for Fall – even if it is still warm outside! 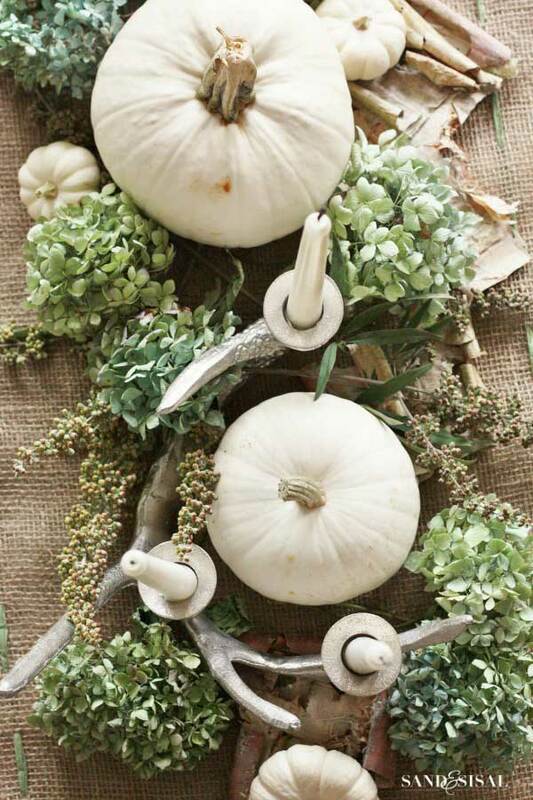 I’ve been loving the look of pumpkins mixed with greenery, fabric, wood, and other textures. 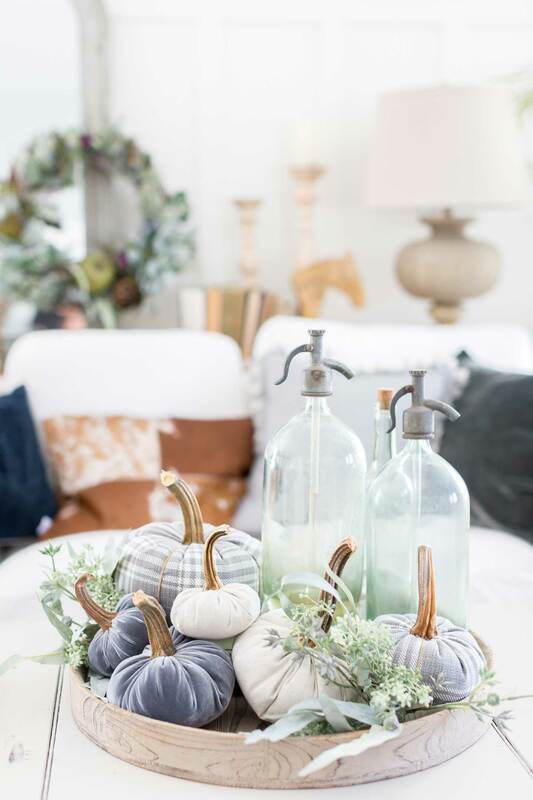 Bringing in other elements with the natural look and feel of pumpkins can create a cozy and welcoming feel to your Fall decor. 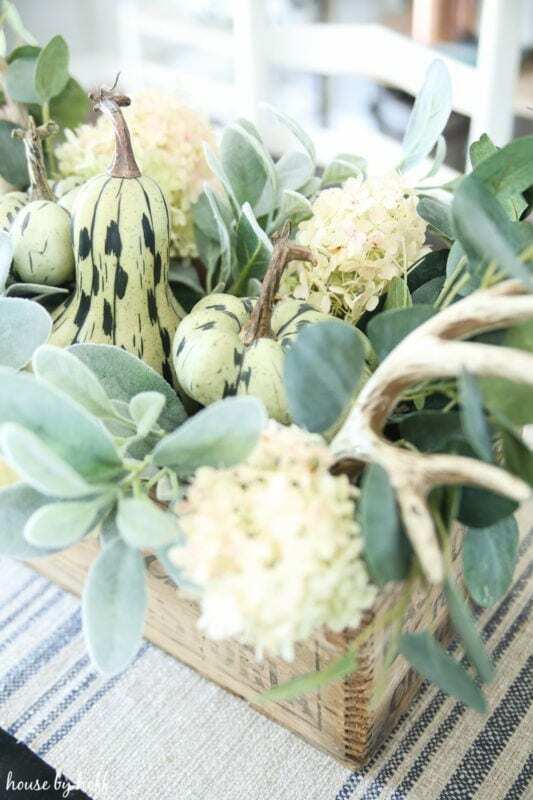 As I’ve been collecting ideas of how I want to decorate for fall this year, I’ve created this collection of beautiful fall table centerpieces that will bring some warmth to your home. You can use these ideas for your dining table, coffee table, side table, dresser, and entry way. For a budget-friendly option you can try to use items that you already own, re-purpose items that you have by painting them, or cutting some fresh greenery that you already have in your yard. By getting creative you can create a beautiful affordable centerpiece that will bring a touch of Fall to your home! 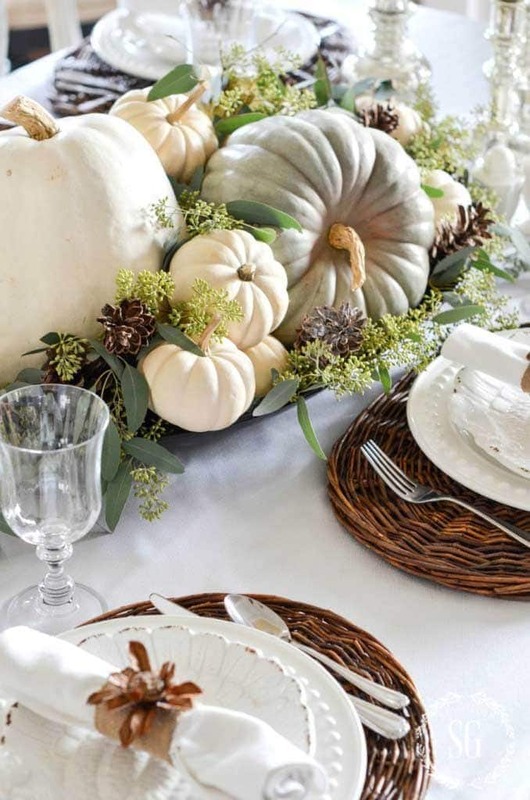 This centerpiece from Liz Marie Blog is beautiful! 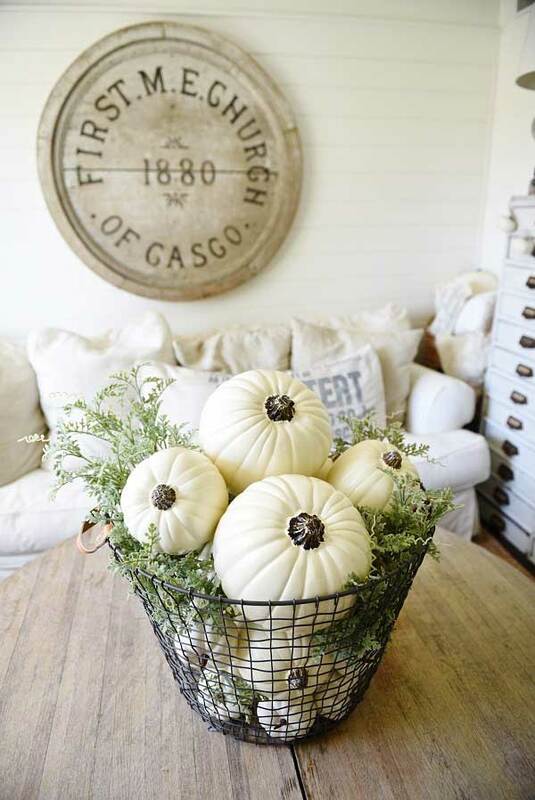 I love the contrast of the white pumpkins with the dark grey basket and greenery. I love the texture of this centerpiece from Sand And Sisal! I love this simple centerpiece from Shabby Fufu Blog! 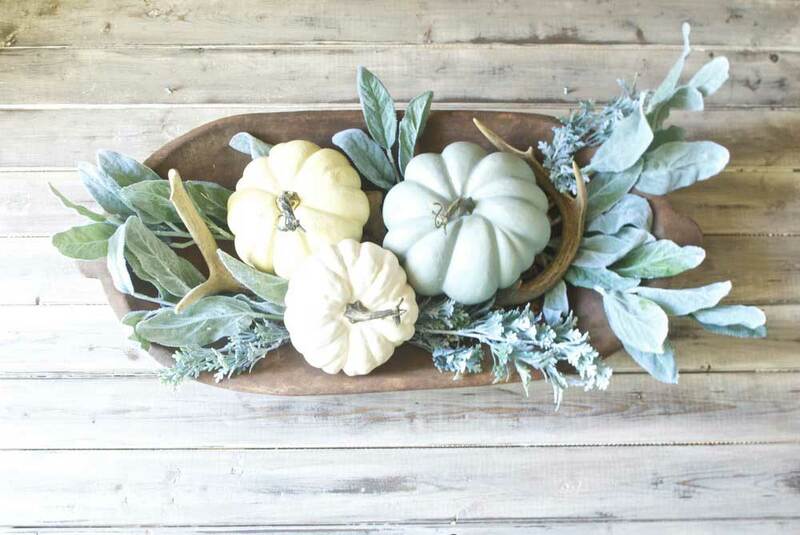 This is a great idea for styling a tray for Fall from Craftberry Bush. 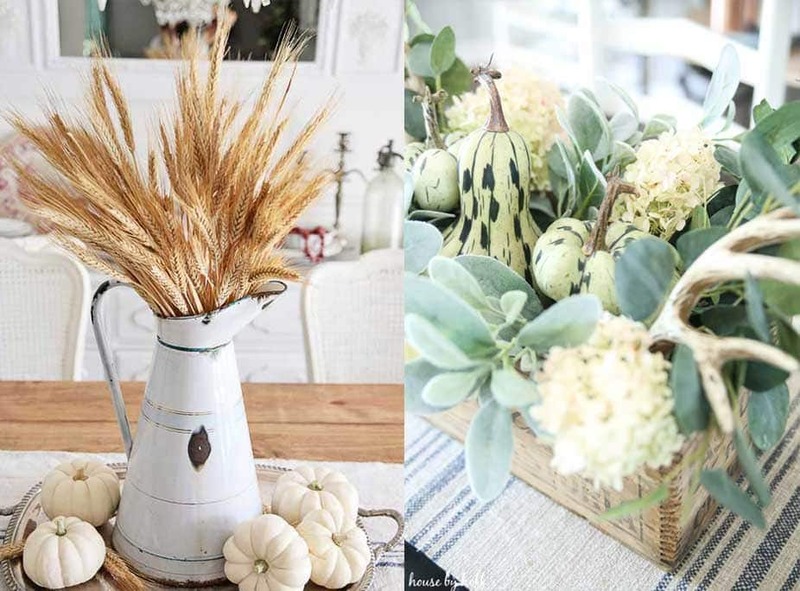 This mix of greenery, pumpkins, and flowers from House By Hoff is stunning! This beautiful centerpiece from Stone Gable has so much texture and warmth! 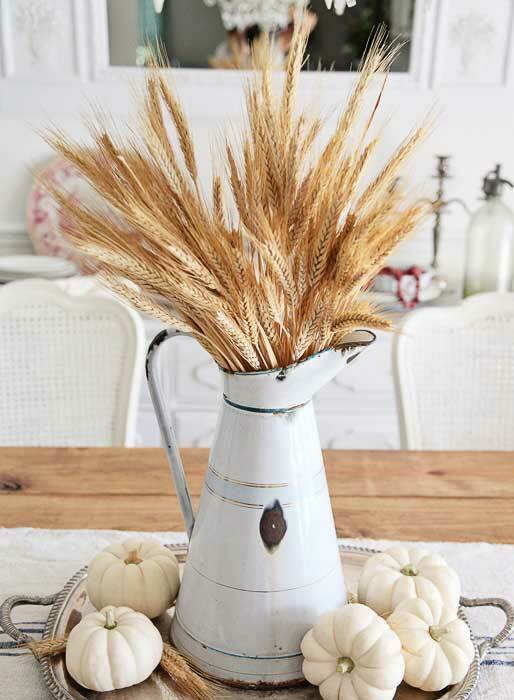 This centerpiece from Plum Pretty Decor And Design is a great idea for styling a dough bowl. 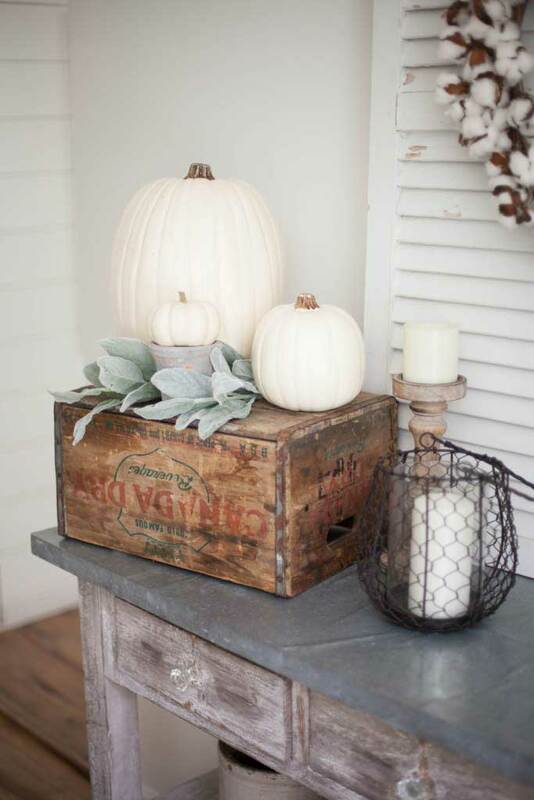 I love how Lauren McBride styled a crate with white pumpkins and greenery! 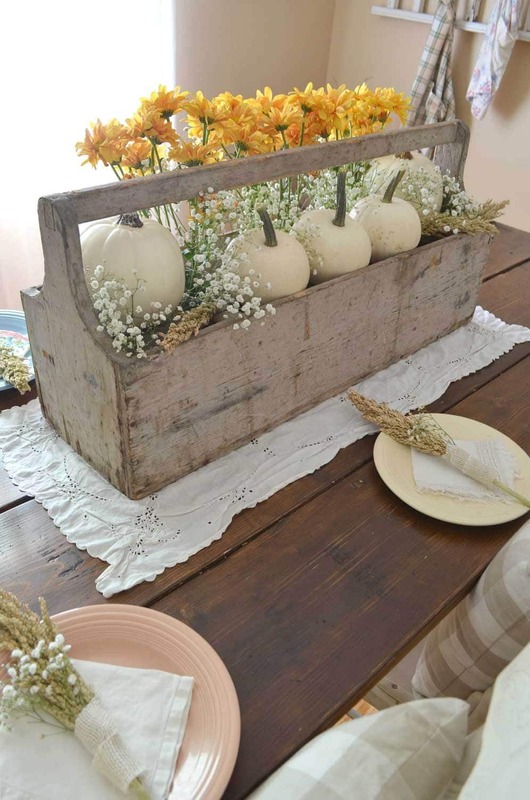 Little Vintage Nest created a lovely centerpiece by using a toolbox! 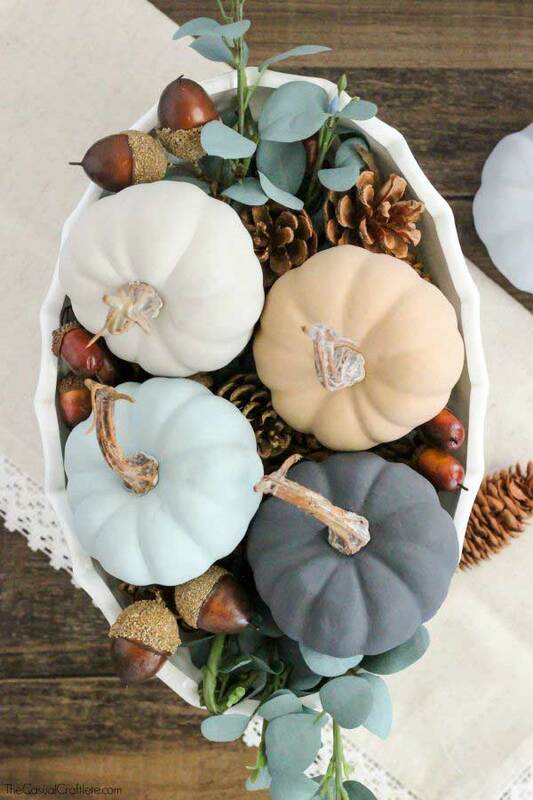 I love this mixture of pine cones, acorns and pumpkins from The Casual Craftlete. I’m so ready to start decorating my home for Fall! 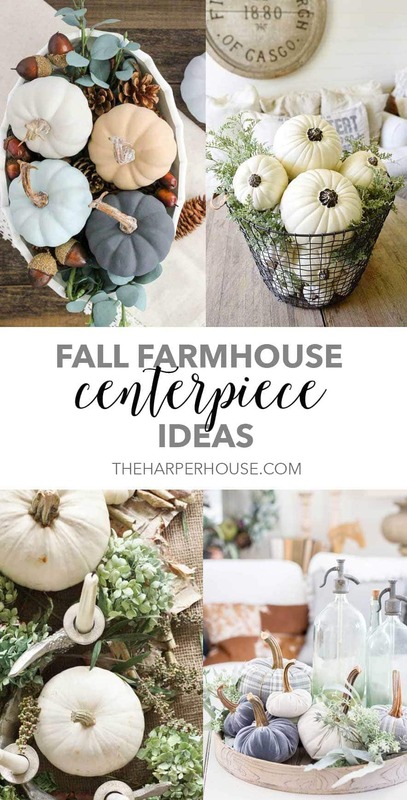 All of these beautiful centerpiece ideas have certainly inspired me to be creative and start decorating sooner than later! 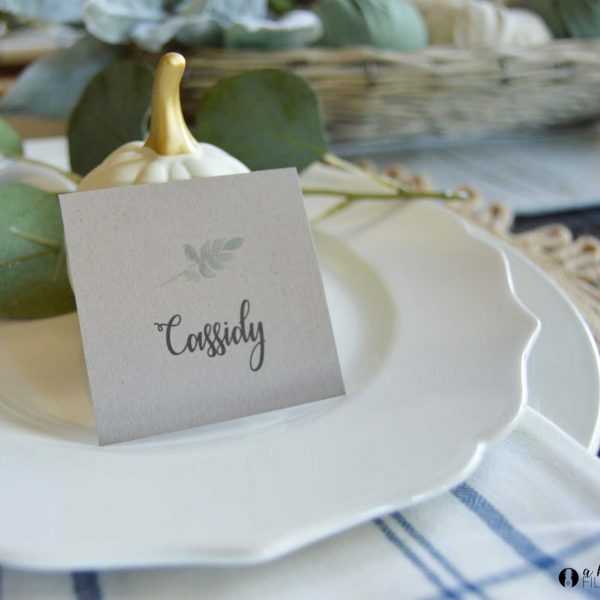 If you loved this round-up of fall table centerpieces, you’ll also love my DIY hand lettered pumpkin tutorial! Also, be sure to check out this roundup of beautiful fall pillows. next article: DIY Chalkboard Lettering – The Easy Way! I love these fall table centerpieces. All are beautiful. Thanks for sharing this post.